I've previously blogged about this here - this is another bite at the cherry! Once more, thanks to Fergus Cairns, who provided the ideas and code for this page. 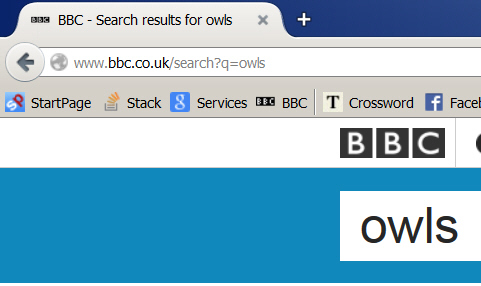 A beautifully simple search URL! 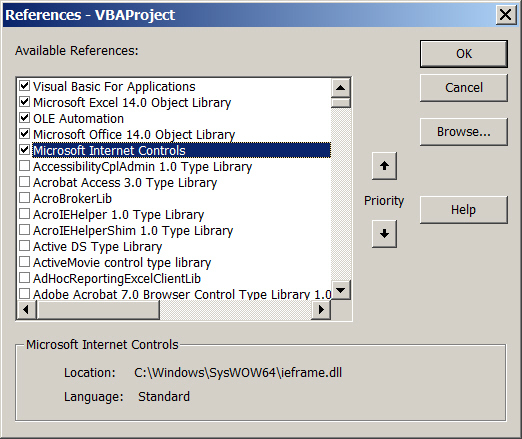 In VBA, choose Tools / References and tick the library shown above (you may have to scroll a long way to find it). The VBA code opens IE and goes to the specified URL. A great solution: simple and easy to understand! The equivalent URL on my computer is 156 characters long! 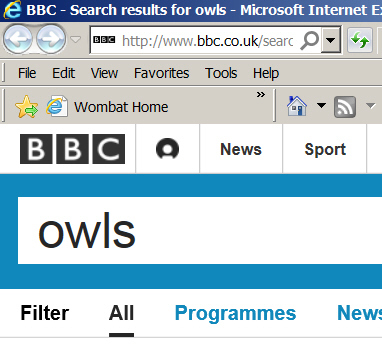 Here we've just searched for owls on the Wise Owl site, but you wouldn't know it from the URL. 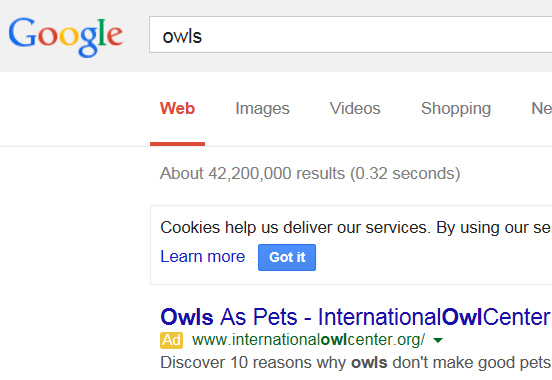 The HTML for the new Wise Owl website search box. You can see the underlying HTML for a webpage in most browsers by right-clicking and choosing to view the source, although you'll need to know a bit about HTML to understand the rest of this blog. ie.Navigate "www .wise owl. co. uk"
However, please don't run too many searches against our site - Google have much deeper pockets (and faster servers) than us! if this has whetted your appetite, we run introductory and advanced courses in VBA macros.